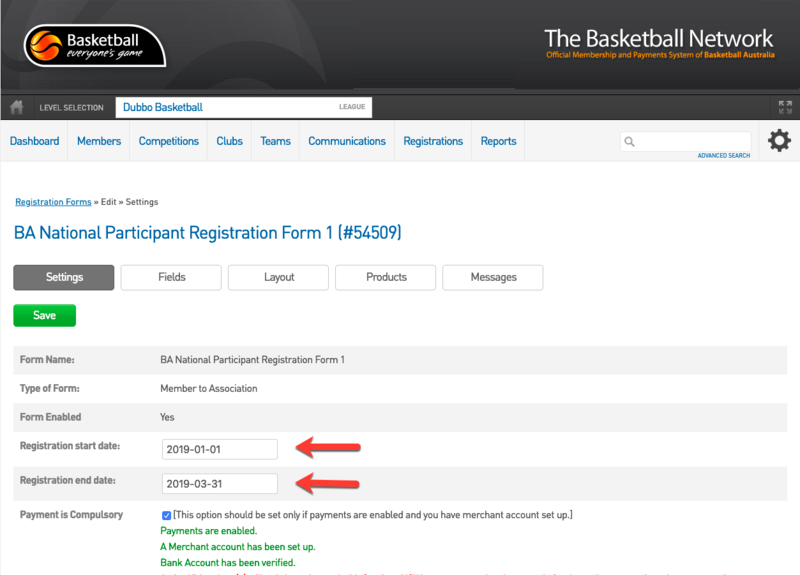 An Association/Club administrator has the option to add availability dates to a National Registration form. 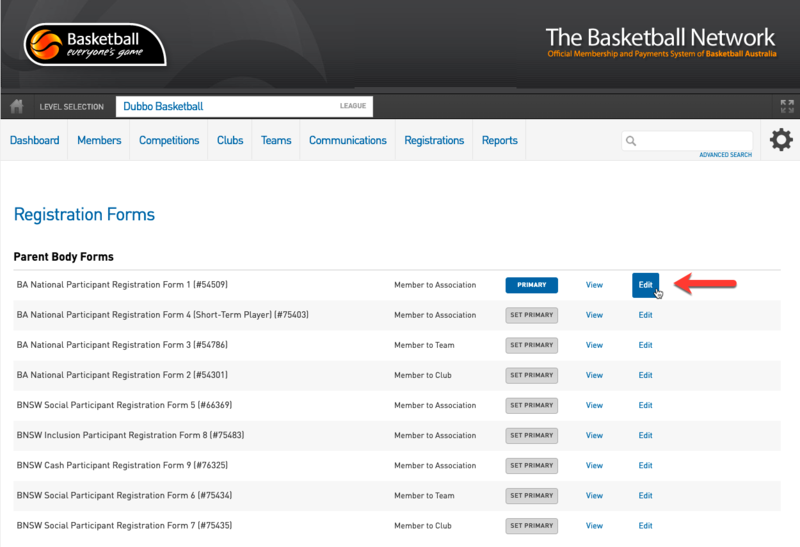 Associations/Clubs now have the option to display their NRS forms to participants within a certain timeframe. - This feature is available by request only, please raise a request to the Basketball Network Support Team through the below link to enable this feature. - This can feature can only be requested by Associations or States. 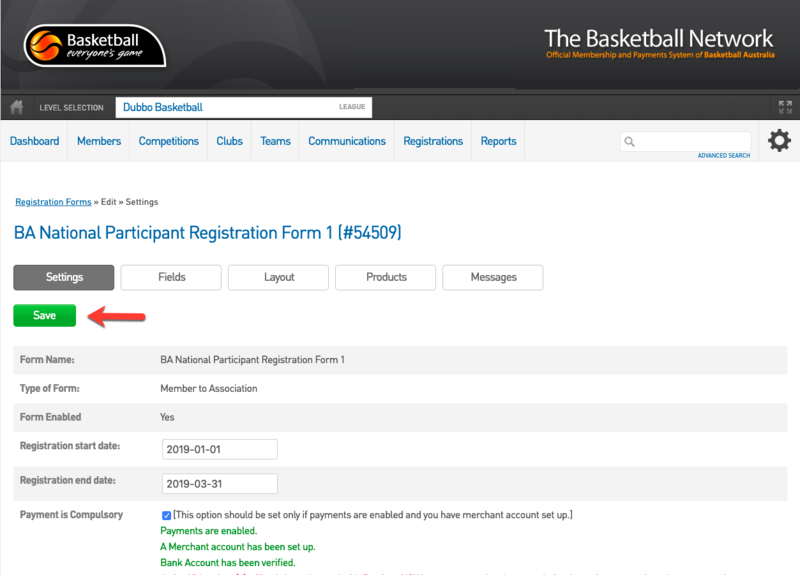 - This feature is only applicable to Associations using the National Registration Forms. 1. 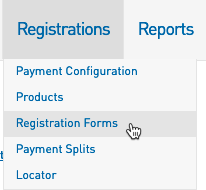 Hover over the Registrations tab and click Registrations. 2. Click Edit on the relevant NRS form. 3. Add in availability dates. If the Association sets the availability date then this date will be inherited by clubs below. If the Association date sets the availability date as blank then Clubs have the ability to add their own dates.